Ginger is off to Meagan's house for a playdate. Megan's house is super tidy. There isn't any messy gumboots or mud on the doorstep and her hair is so neat. There are books everywhere, there's no TV, and everything has its place. 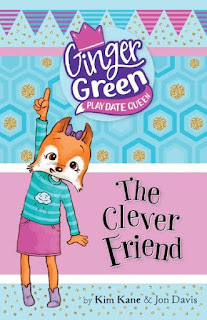 Ginger is keen to play, and she comes up with brilliantly creative idea after idea, her imagination in full swing. But her ideas are too messy. Too noisy. Too crashy. And Meagan, quite frankly, is too hypercritical. 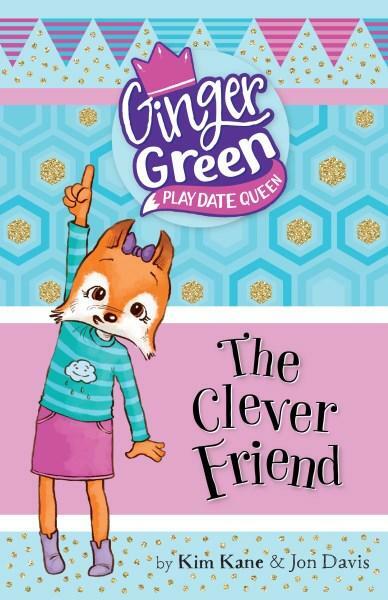 After one insult too many, Ginger stands up for herself beautifully (love this little fox!) and Meagan the Perfectionist learns an important lesson (and perhaps her perfect mum does, too). This is such a heartwarming story, using accessible and clear language for its younger target market, yet providing a richly satisfying plot. Its messaging is well done, current, and beautifully-handled, especially as we learn that Meagan really is a lovely kid (as all kids are). Illustrations by John Davis are present on every page, and expressive and new words are written in large and dynamic fonts. A mononchrome colour palette (purple) is beautifully done, with lots of engaging action and humour. Ginger Green is an endearing character, whose enthusiasm and zest for life is palpable. She's warm, creative and sensitive, yet assertive and strong. It was so wonderful to meet her.